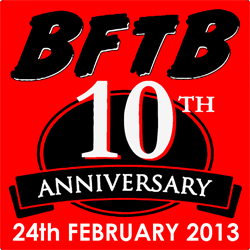 BFTB 10th Anniversary - Larry Hama Interview- BLOOD FOR THE BARON!!! 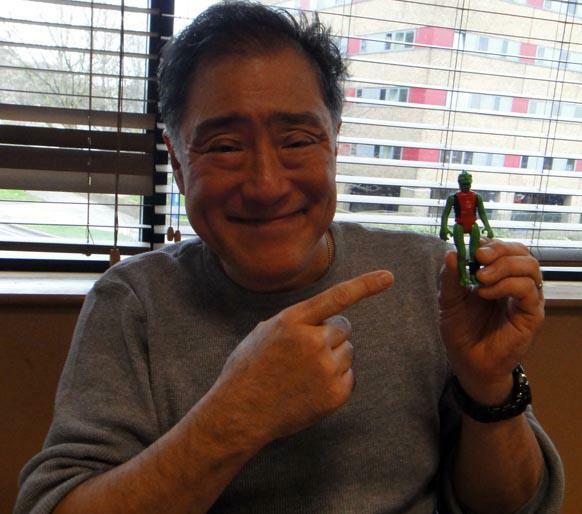 After his Special Guest appearance at the 2012 UK Action Force & Transformers convention, Roll Out Roll Call 3, the original GI Joe comic scribe Larry Hama decided to add the Red Shadows to his ongoing 'A Real American Hero' comic from IDW Publishing! BFTB had a sit-down with the man himself to discuss the forthcoming comics! 01) At what point did you find out about the British Action Force toy line and comics? Did your guest appearance at the Roll Out Roll Call 3 event inspire you to use the Red Shadows in your A Real American Hero comic? What was IDW's reaction to the idea? I saw a few issues of Action Force when it first came out, but nobody at Hasbro or elsewhere ever sent me any copies. I managed to get a fairly complete run on digital media a number of years ago, and that was the first time I really saw the material in sequence. I had no idea there was such an active fandom for the figures and comics in the UK until went to Roll Out Roll Call. That sort of opened my eyes. That combined with attending toy collector shows here in the states made me realize that a lot of readers were interested in seeing the vehicles they had in their collection utilized in the continuing narrative. I never had a problem with working the vehicles into the story when I was working with Hasbro. IDW was very enthusiastic. 02) Battle Action Force had a big impact on a lot of kids around the world and BFTB is evidence that there is still a huge amount of nostalgia where these toys and stories are concerned. Do you think there is a market that could be tapped outside of the USA as it was 30 years ago, and is your addition of the Shads a small way of doing that? I don't plan stories with that much marketing in mind. I just thought readers would like to see the stuff in their collections come to life. 03) Did you use the Joecon 'Vacation in the Shadows' Red Shadows boxset as inspiration, or the original toys and Battle Action Force comics? Before embarking on this new story, did you do any research into the background history of the Red Shadows such as studying their file cards and blueprints or purchasing any of the toys to use as reference guides? I really never read comics very much. I looked at the pictures. That's what I was always more interested in: the visual storytelling and visual continuity. Not much interested in plot or what most comic readers refer to as "continuity." I make up the stories literally page by page and I never know what's going to happen on page 22 until I get to maybe page 19 or so. I've "read" most of Action Force visually. That's what I did with most of the Wolverine run before I took over that title. I actually read the words to the Barry Smith, Frank Miller and Chris Claremont runs but looked at the pictures in the other stuff. 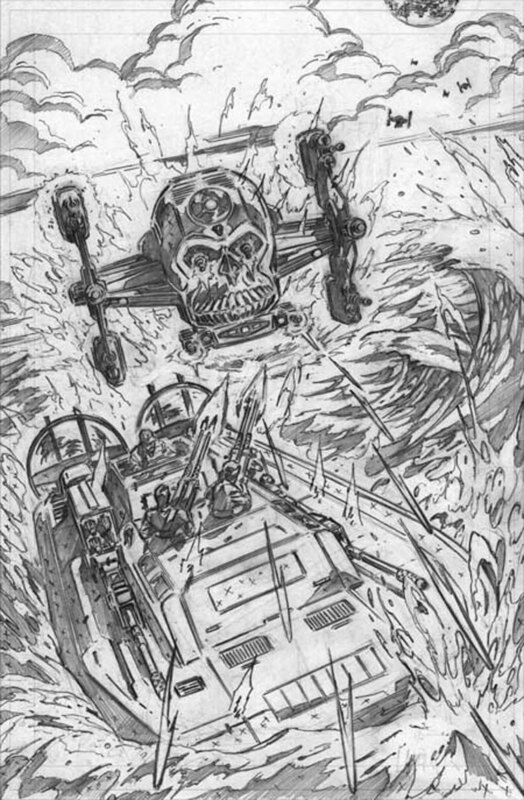 I've never actually read the words to any of the GI Joe material I didn't work on. Nor have I watched any of the animated versions. I studied the Black Major and Red Shadows reference that was provided to me by a collector friend, but my take on those characters is just that- my version. Because I have to make it all work in my own GI Joe universe, which is different- because most of the characters are based on people I actually knew or know, so I could keep their personalities consistent. When I read those characters written by somebody else, it's like reading dialog written for my friends by people who never met them. 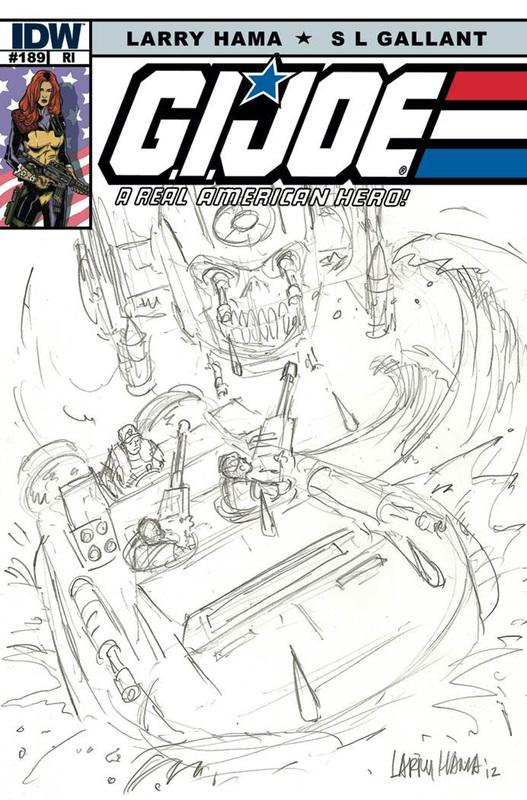 I have no doubt that other writers have written terrific GI Joe stories, and some of them are probably better than anything I could do, but they aren't stories about the people I know in my universe. I'm sure many readers will take grave offense at my portrayals of the Action Force characters, but I am used to that. Many readers hated my take on Wolverine at first, but then they got used to it. 04) When you first considered using the Red Shadows, were you only interested and in the original UK and Joecon versions, or did you take a look at the Devils Due versions as well? Were characters from DDP like Dela Eden and Arthur Kulik ever looked at for possible inclusions? Is it possible we could get to see other characters such as SKAR, the Iron Army, or Dr. X from Action Man? I've never seen the Devils Due version. I also am not comped by IDW for any books I do not write personally, so I have never received copies of any of the other GI Joe titles. If I am not sent the material, I can't look at it, or even know it exists. Marvel never sent me any of the foreign reprint stuff, and I have been off their comp list for over 20 years. I have very rarely actually bought a comic in the last 40 years. People give me stuff or send me stuff all the time, though. That's the only way I get to read new material. "Read." I should clarify here: I have the entire run of "Kozure Okami" that was sent to me as gift by Katsuhiro Otomo (Akira) who noticed I had a rather tattered incomplete set when he visited my office many years ago. I can't read Japanese, but I feel I have "read" every page of that entire series. 05) In your opinion, what are the big differences between Cobra and The Red Shadows? Cobras are motivated by greed and need for control, within the framework of a vast pyramid scheme. The Red Shadows seem more to be motivated by ideology and need for Fascist order. I'm probably wrong about that, but that's my take. 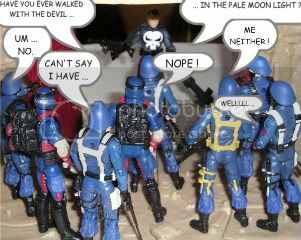 06) Will any of the other Action Force teams be featured? The SAS were fan-favourites in their day…as well as Z Force, Q Force and Space Force. It would certainly create an interest on this side of the water to buy the comics. Will Skeletron be making an appearance? The SAS material seems interesting to me, for what are probably apparent reasons. 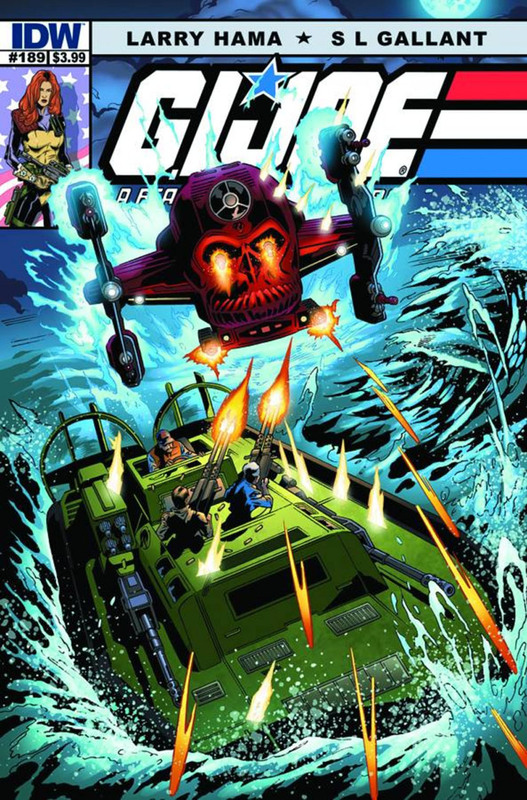 07) Have you read the Battle Action Force comics on BFTB and, if so, which stories are your favourites? Any preferred writers and artists from those strips? Did you follow British comics at that time, such as 2000AD, or their writers who went on to other projects in the States later such as Alan Moore and John Wagner, or artists such as Cam Kennedy? Any favourite stories? I haven't "read" any. I can sort of describe the art of the stories I liked, though. There was one with Snake-Eyes in the arctic, where he had a sort of part-furry outfit. This is hard for me. I have the same problem talking about my favorite Kozure Okami stories- It's like, "Yeah, I really liked the one where Daigoro wanders away from the baby cart for a whole issue and doesn't rat out the pick-pocket girl." I would have to describe the stories that way, because it's the PICTURES that interest me the most, or actually, the narrative progression through the pictures. This is very hard for me to explain. 08) In the Battle Action Force comics, the Black Major was notoriously unforgiving of failure or any form of dissent by his subordinates; often killing his own troops if they displeased him in any way. Have you kept, or felt you had to change, this bloodthirsty aspect of his personality? That's my favorite aspect of the character. His ruthlessness. 09) Do you have any favourite characters or vehicles from the Action Force and Red Shadow line? 10) If the upcoming comic strip is well received by the US fanbase, do you think Hasbro could be persuaded to release more Red Shadow toys? Who knows. It probably has more to do with availability of the molds than anything else! Sounds like the SAS is a possibility and if we could get more in and more interest would't it be cool if they release some more AF toys! Bombardier is coming from the club !